It has long been known that epigenetic changes occur in fetal life in response to the environment in the uterus. For example, if a pregnant woman smokes or is undernourished, this increases the risk of the baby being smaller than expected at birth (small for gestational age). This in turn increases the child’s risk of non-communicable diseases including cardiovascular and metabolic conditions in adulthood. There is now growing evidence that the health of both parents before and at the time of conception influences the chance of conceiving and the short and long-term health of offspring. This is because the environment where eggs and sperm mature and the composition of the fluid in the fallopian tube when fertilisation takes place are affected by parents’ general health. So, in addition to the genetic material parents contribute to their offspring, their condition at the time of egg and sperm maturation and conception have lasting effects on the expression of the genes and the health of the future child. Obesity, smoking, environmental toxins, alcohol, drugs, lack of physical activity and poor nutrition all pose risks to the health of egg and sperm and consequently to the health of a future child. Chronic health conditions such as diabetes and hypertension can also adversely affect gamete health. Whether they are actively trying for a baby or not, people of reproductive age can potentially conceive any time. This is why preconception health messages need to be integrated into primary healthcare and discussed opportunistically with women and men of reproductive age whenever possible. A condition for preconception health optimisation is that the pregnancy is planned. To reduce the risk of unintended pregnancy, the RACGP’sGuidelines for preventive activities in general practicerecommend screening for pregnancy intention in primary healthcare settings. A promising idea for assessing the risk of unintended pregnancy and giving prospective parents the opportunity to optimise their preconception health is the One Key Question® (OKQ) initiative developed by the Oregon Foundation for Reproductive Health. It proposes that women are asked, “Would you like to become pregnant in the next year?” as a routine part of primary healthcare to identify the reproductive health services they need to either avoid pregnancy or increase the chances of a successful one. This non-judgemental approach allows practitioners to provide advice about reliable contraception if the answer is ‘no’ and information about preconception health if the answer is ‘yes’ or ‘maybe’. While a 15-minute consultation will not allow in-depth discussions about contraception or preconception health, directing women to reliable sources of information and inviting them to make a time to come back to discuss their reproductive health needs in light of their pregnancy intentions might increase awareness of the importance of preconception health optimisation. Considering the mounting evidence about the role of paternal preconception health for fertility and the health of offspring, men also need to be made aware of the importance of being in the best possible shape in preparation for fatherhood. Directing men to accessible and reliable sources of information about male reproductive health can improve awareness about how they can contribute to the long-term health of their children. Your Fertility is a government-funded national fertility health promotion program to improve awareness among people of reproductive age and health and education professionals about potentially modifiable factors that affect fertility and reproductive outcomes. The program’s main platform for dissemination of information and engagement is its website yourfertility.org.au.Time-poor practitioners can direct their patients to this website knowing that it offers evidence-based, up-to-date, accessible information about all aspects of female and male reproductive health in a range of formats. 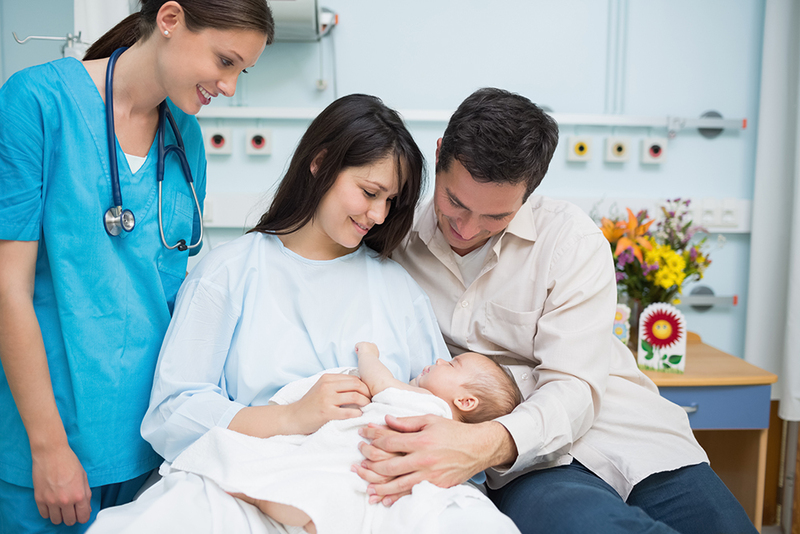 It also has helpful resources for health professionals, including short videos, webinars and fact sheets to help you promote the important messages about how healthy parents make heathy babies. Click here for a helpful preconception care checklist for practitioners. This article appears in the October/November 2018 edition of Vicdoc.